The perfect 40km bike ride around Hoi An starts by 8.00am (maybe varied due to seasonal weather) with our English speaking local guide. 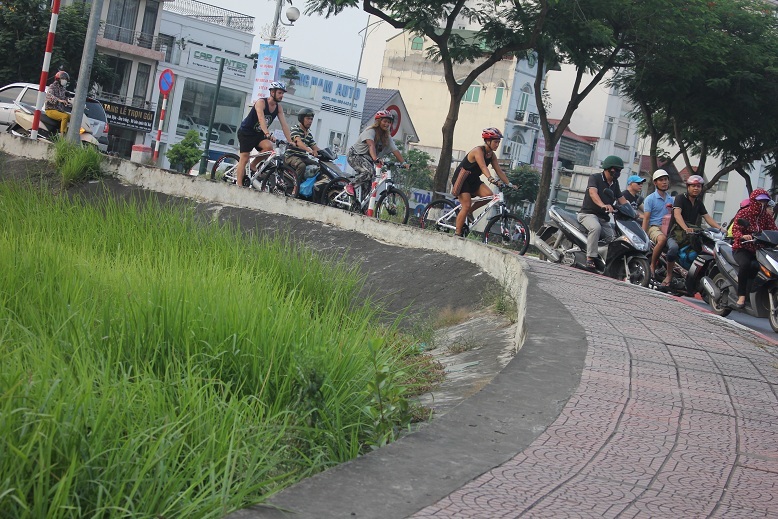 First we cycle through Cam Thanh village where VC used to hide during the war in Vietnam and known as the middle stop of Ho Chi Minh sea-trail. Crossing the river-front by newly bridge then being on stunning backroads along the river of Hoi An, witness locals working with their nets and rice fields. Plenty of chances to talk with locals, take beautiful photos. During the tour, we will cross the only traditional bamboo bridge which is only left in Hoi An after flood in 2013. By lunch time, we will arrive in one of family who making My Quang – a local rice noodle. You get a chance to see how rice noodle made in Vietnam then enjoy a tasty bowl of noodle for your lunch. Carry on, we visit Mr Dau – a veteran who came back from the war with a leg lost in 1985, and now-a-day, he is a very popular rice wine maker. Learn his incredible history and taste traditional sprit of Rice Wine is one of the highlights of our trip. Back to the bike for another pleasant ride to Hoi An. Notice: if you would like to take photos, please ask them politely and you will be rewarded with a beautiful Vietnamese smile! Just 1 day with Hoi An Cycling team, you will experience a real Vietnam much more than just being on other types of traveling. Hat, waterproof, sun-cream and some extra cash for personal expenses. We do have bikes for children. If you would like your child to join the cycle ride, please let us know how tall they are so we can provide them with a suitably sized bicycle.